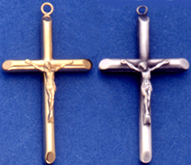 Most hollow crosses are available back to back OR with a flatback. 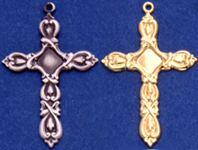 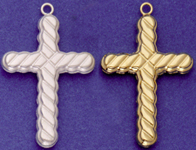 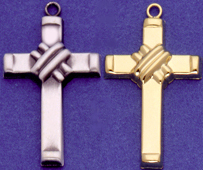 They are also available with top rings and bails.Corpuses may be soldered onto most crosses. 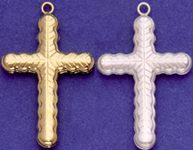 hollow cross 3/4" x 1"
hollow cross 5/8" x 1"
hollow cross 3/4" x 1-1/8"